Press out the Hello Kitty dolls plus the amazing outfits and accessories and have fun dressing the coolest girl in town! 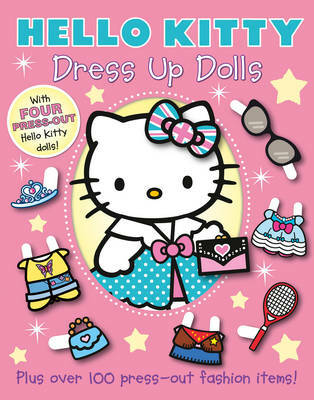 The amazing book contains four press out Hello Kitty dolls plus a range of outfits and accessories from fashion to fancy dress, sporty to pop. Have fun mixing and matching the outfits and dressing Hello Kitty for every occasion!